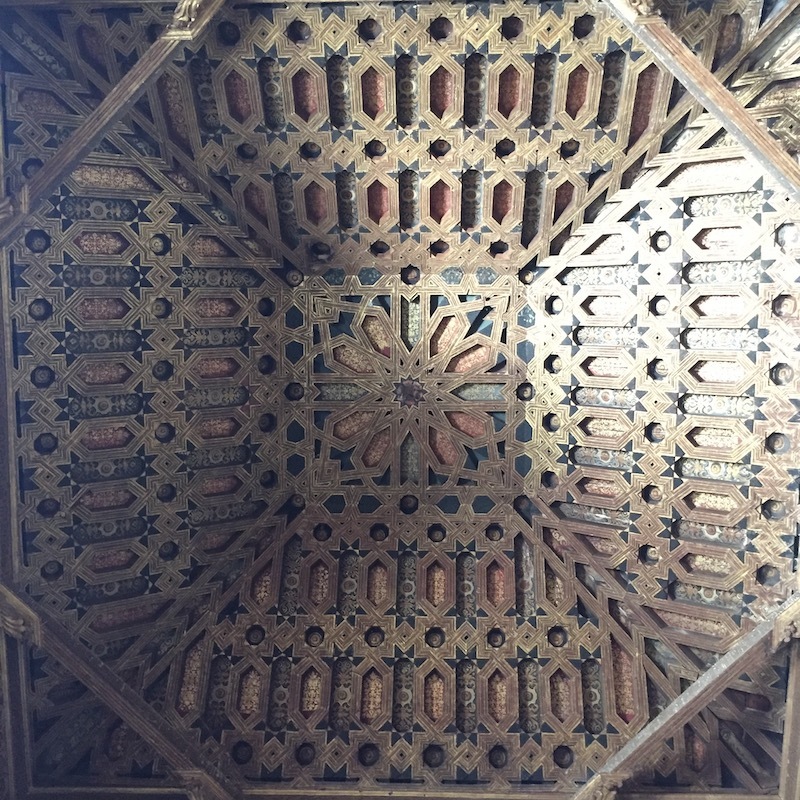 Last week in Granada we spent the morning being kids again. 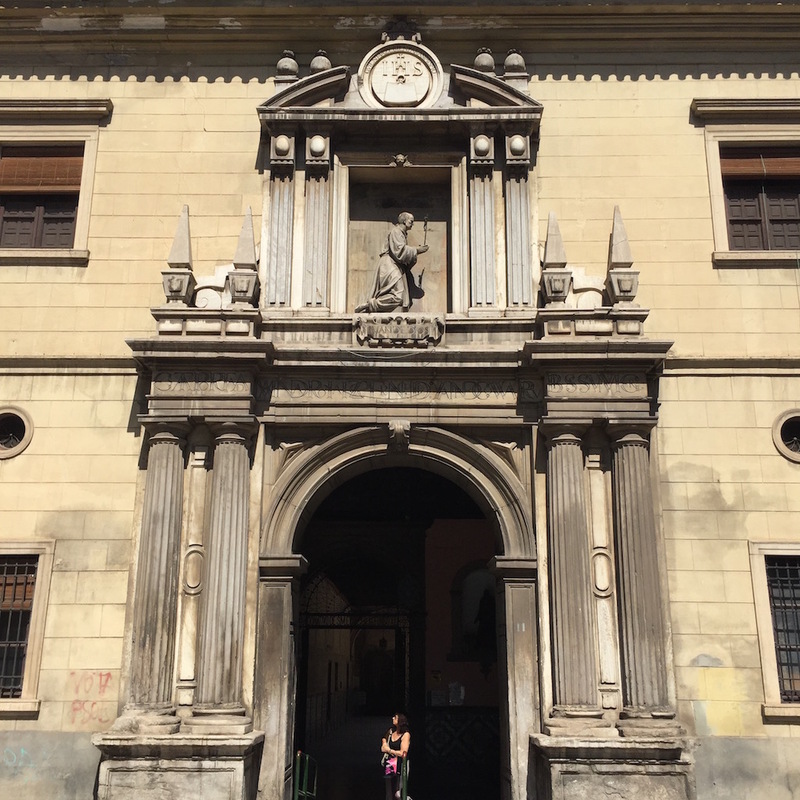 With a lemon Tango in hand we sneaked into el hospital de San Juan de Dios to look around this magnificent, but sadly decrepit, building in the backstreets of the city. Like, say, the botanical gardens in Valencia, stepping away from the rumble of traffic and passing through the entrance was like stepping into Narnia – only in 35 degrees heat and without any talking animals. 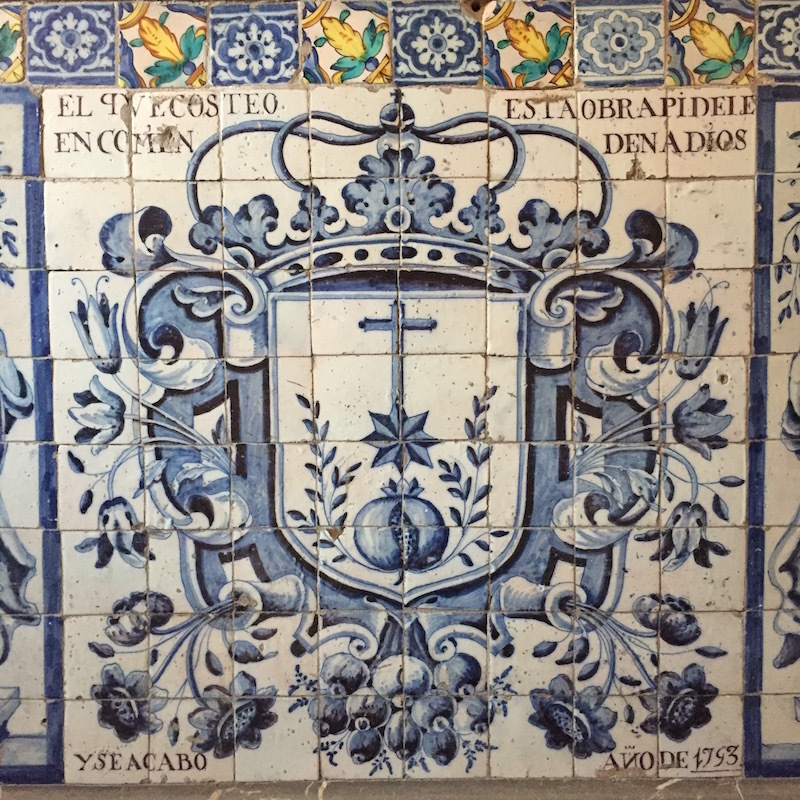 The colonnades around two courtyards with a dado of Valencian tiles offered shade as oranges glistened on the trees. Weeds sprouted up between ancient slabs of stone. If ever a place was unloved, this was it; somewhere very few tourists would ever find by chance, despite its history and importance to the city. 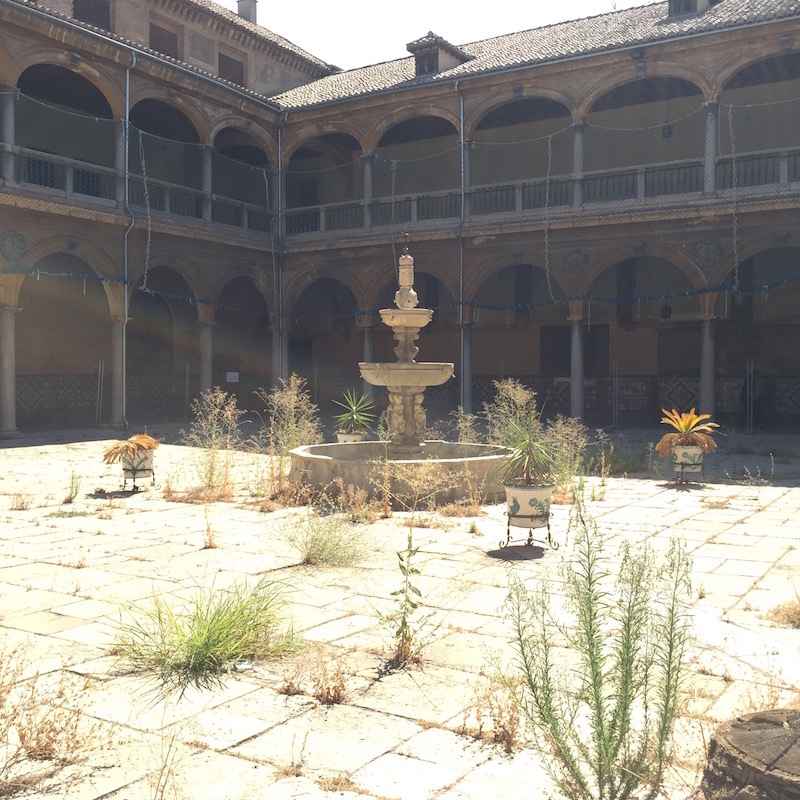 The hospital was founded by John of God on ground ceded by monks of the Royal Monastery of St. Jerome – Monasterio de San Jerónimo (more on that another day – it was their former home). 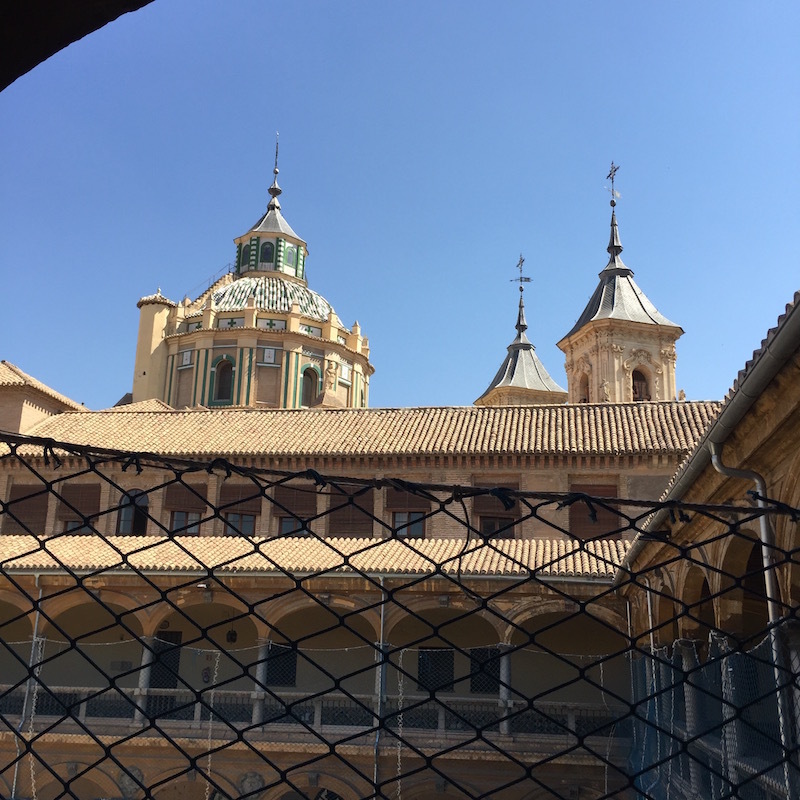 The monastery had already been built earlier in the 16th century so by the time this hospital was finished in 1544, it was still only fifty years after the culmination of the Catholic Reconquista. Its main source of income came from donations from the city’s wealthy inhabitants. We got chatting to a woman working in one of the few open offices in the place, a drug dependency unit. 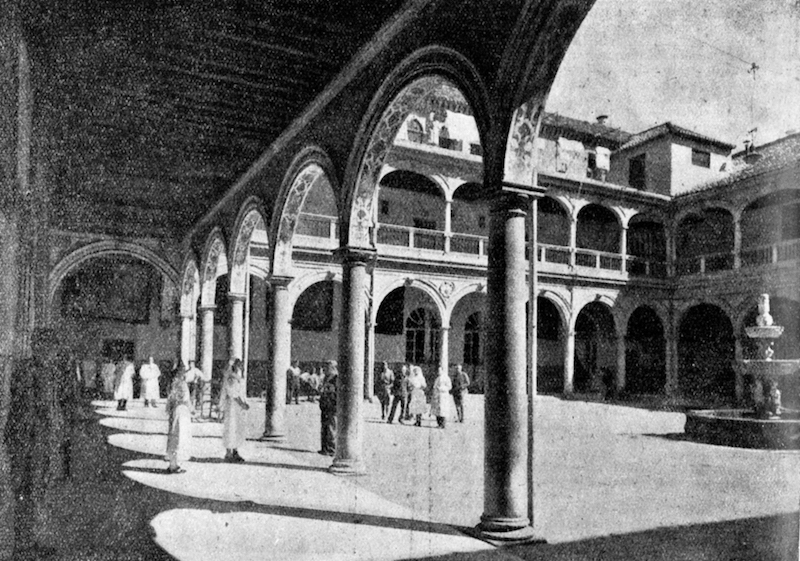 Wearing a white medical uniform and puffing on a cigarette she said it was one of the first hospitals in Granada. 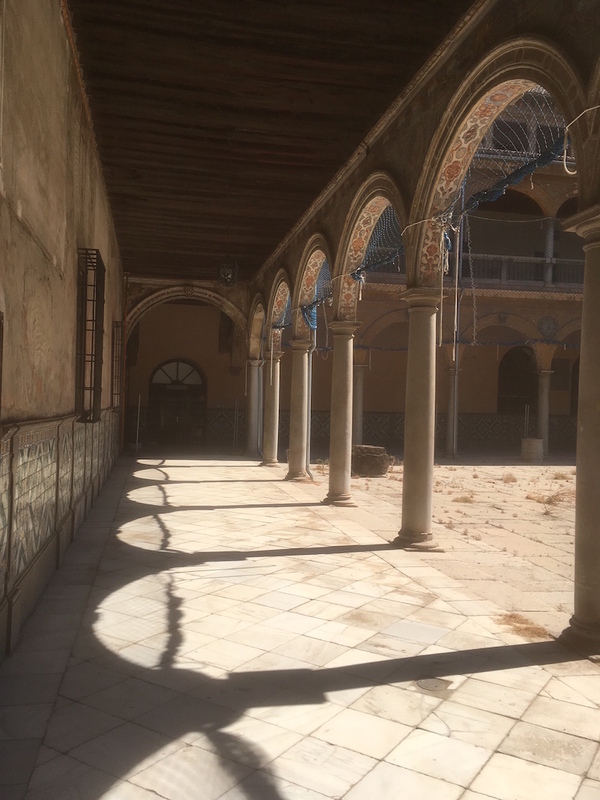 ‘The money ran out and people can’t agree on its future’ she told us – referring to its restoration (started a decade ago when the building returned to the Hospitaller Order of the Brothers of Saint John of God, which was founded after his death). It’s at a standstill as various projects have ping-ponged between ‘interested parties’. 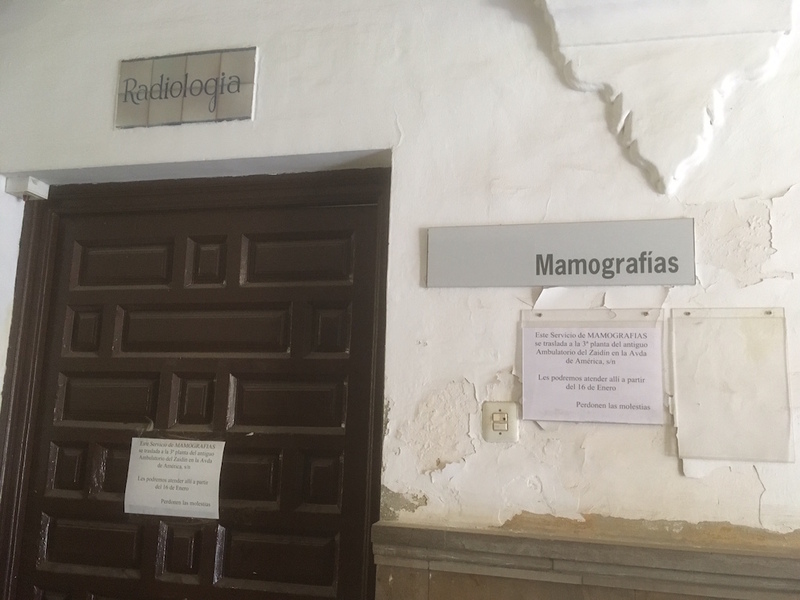 The cost of renovation – and the eventual marrying-up with the hospital of San Rafael next door – is over €30m. Within the last decade many of its units have moved to other hospitals. 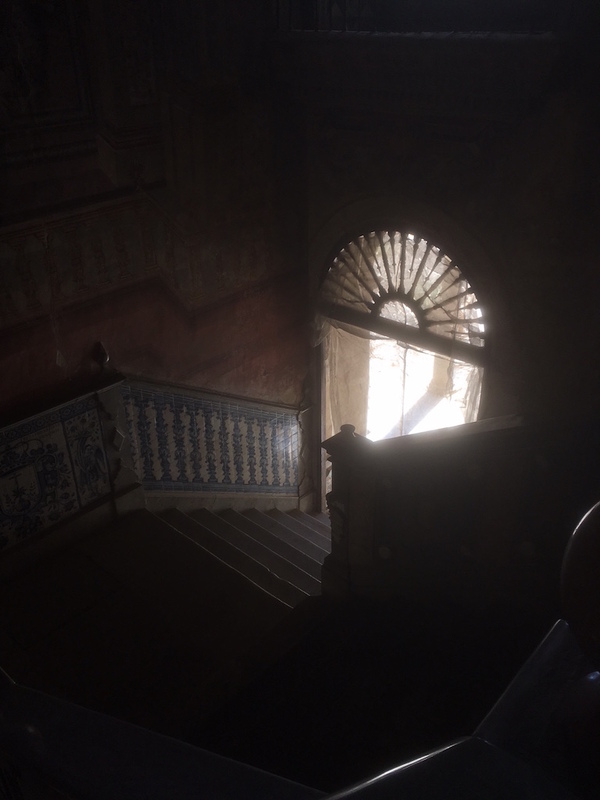 There were no workmen in sight, just the odd door opening and the sound of distance voices. Lighting a second cigarette and pointing to a gap in the fence leading to the building’s dark, stunning heart, the woman we’d got chatting to allowed us to slope off for an unofficial tour of the place. 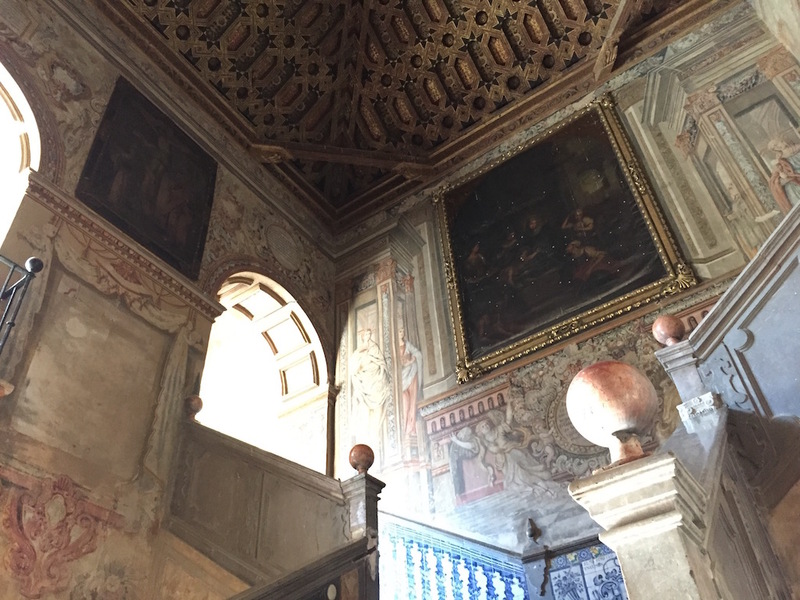 The grand staircase was an impressive introduction to the interior and seemed more suited to a country mansion. It was quiet, creepy even, as we strolled around the ground and upper floors imagining all that had happened behind the now locked doors. Looking through frosted glass old medical equipment could be seen – some metres high; inanimate and seemingly ready to burst into life at the flick of a switch. Somewhere there’s a small chapel once used by the nuns who worked in the hospital. A man sat alone on a bench, staring into the distance. 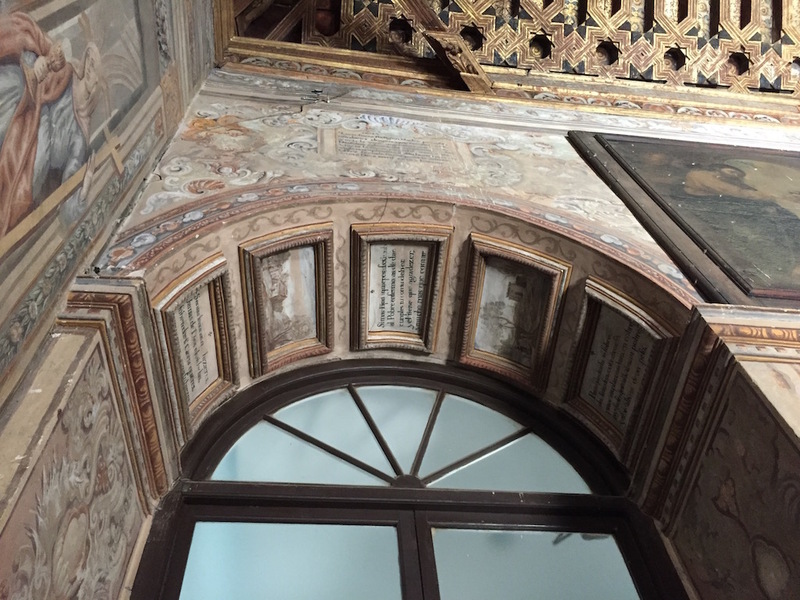 In the 16th century, the building had a series of rooms tending to the sick. 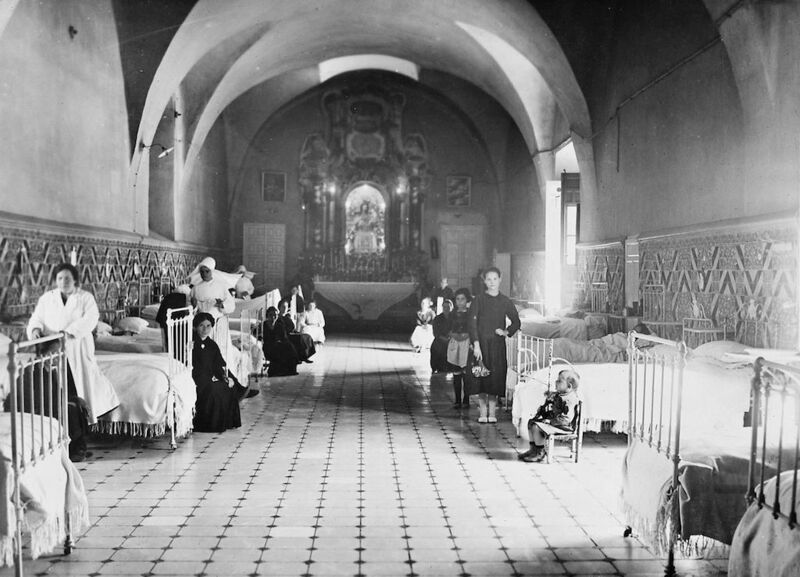 The best known was La Milagrosa (‘the miraculous’)– a large room of arches where beds for 40 women were housed. Other rooms included San Joaquin, San Vicente, San Enrique and San Rafael. A team of around 30, headed up by the ‘Superior’, looked after the poor and sick. Over the centuries, many people learnt their medical skills here. 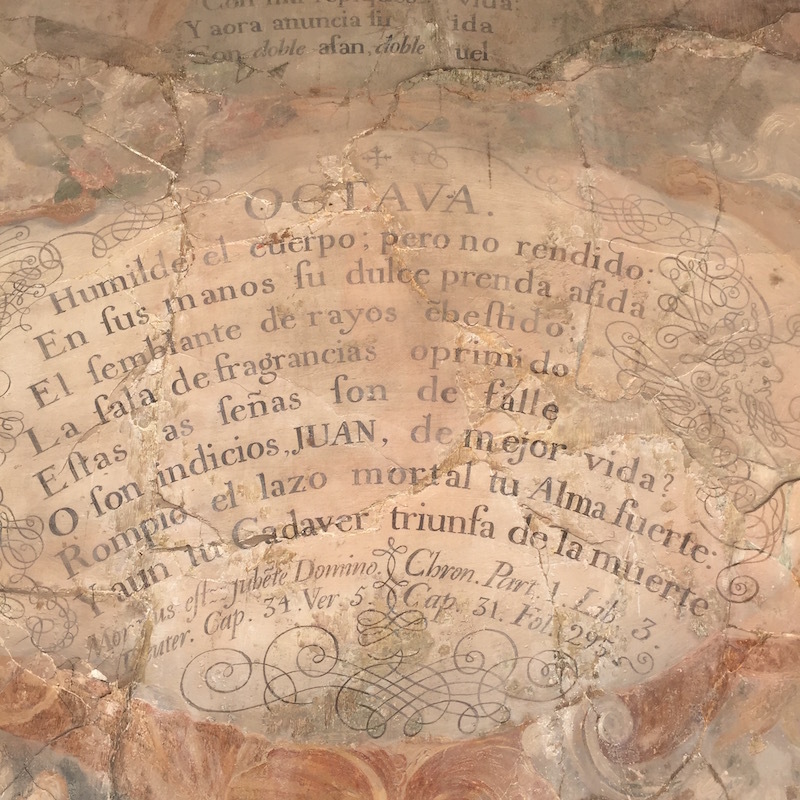 Like the chapel, another thing of interest but hidden from view is a large marble slab, covered in notches and marks – the old autopsy table when the city’s Faculty of Medicine used the premises for a number of years. 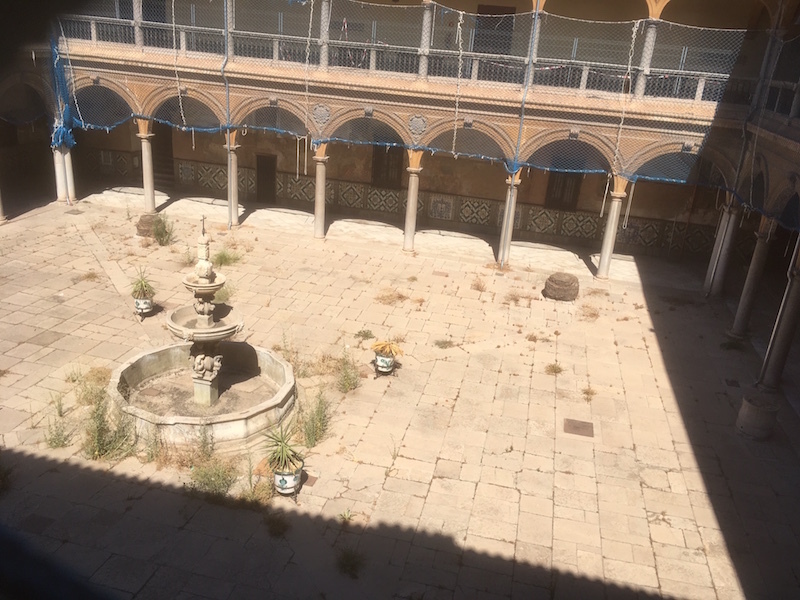 Within living memory, the second courtyard – built in the 18th century – contained a glass operating room – a bright greenhouse of scalpels and blood where students could easily watch the proceedings. 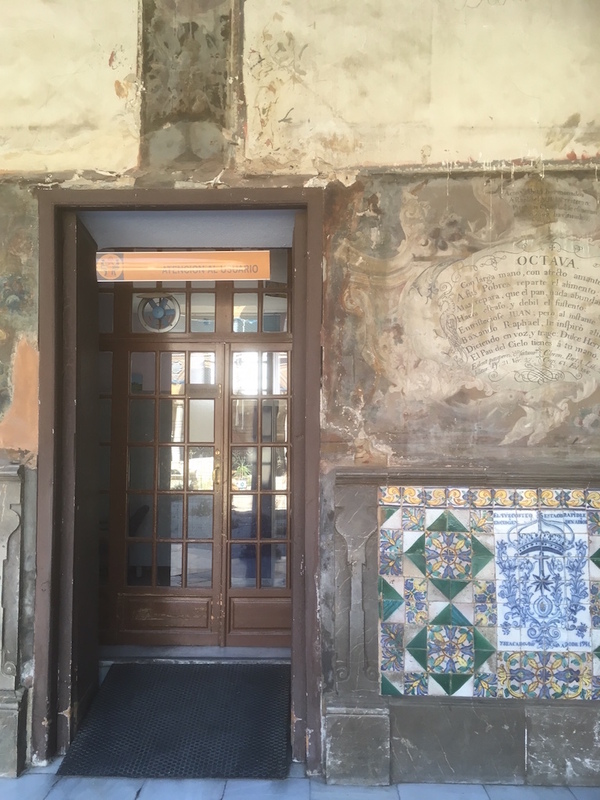 From the same courtyard there’s the original door leading to a tiled bread pantry where food was once distributed to patients. 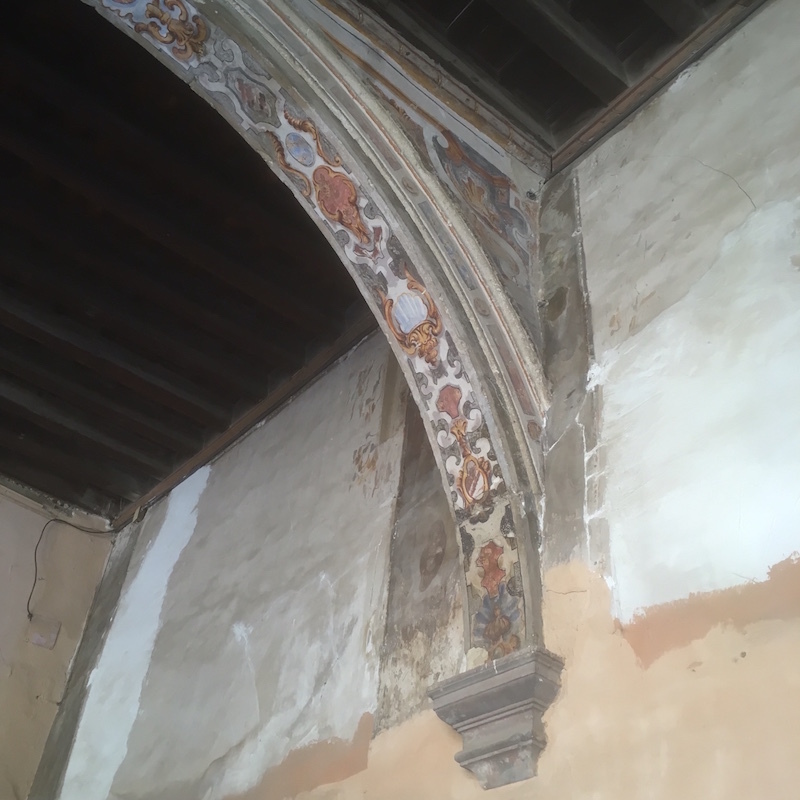 What we see today – the chipped tiles, old graffiti and Miss Havisham-like drapes of abandoned restoration work – is a world away to how it must have once looked, but it is still beautiful. It’s easy to imagine the splendour when the light was allowed in: the baroque staircase with surrounding oil paintings and extraordinary alfarje (panelled) ceiling, the marble Doric columns in the main courtyard, vibrant painted arches and the faded murals showing allegorical figures, landscapes, flowers and animals. The well with its rusting iron cap and fountain stood alone, waterless, as if mimicking their surroundings, drained of life. 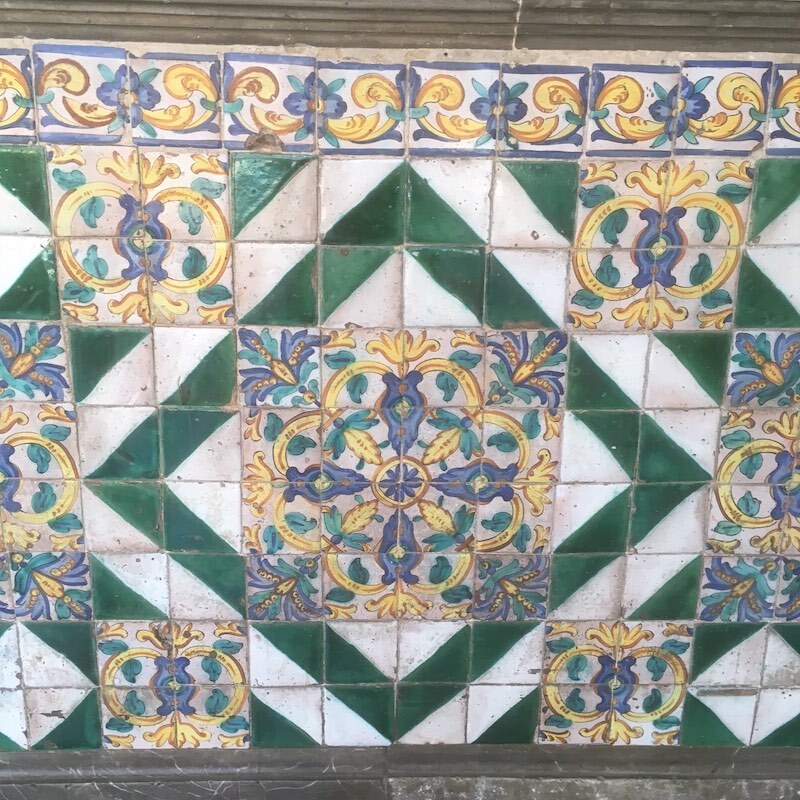 This may have been the start of a steady decline, leaving the building to become what it is today, having suffered from vandalism and theft in recent times, especially of tiles. 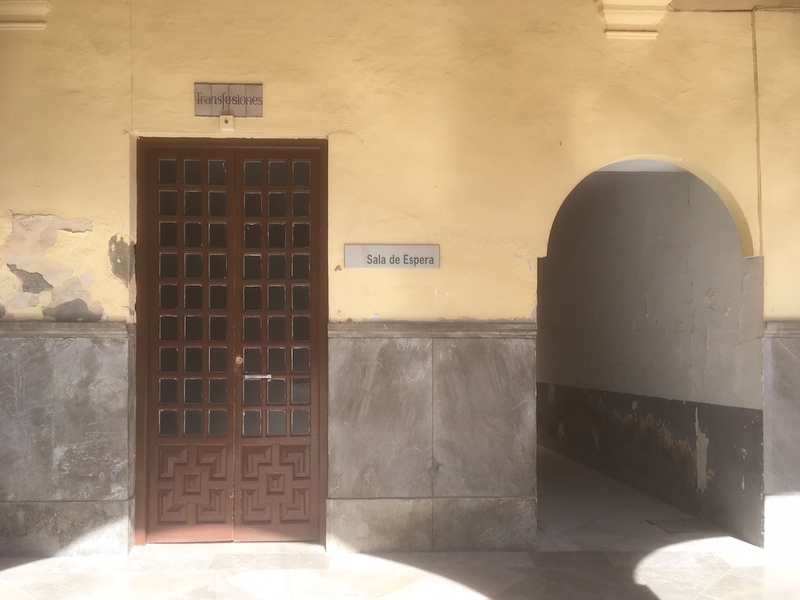 We left, looking back at the entrance built in 1609 with columns of grey marble (from the Sierra Elvira just outside the city) and a crouching John of God, framed in a recess. Not a bad place to meet your maker – or return to stardust. 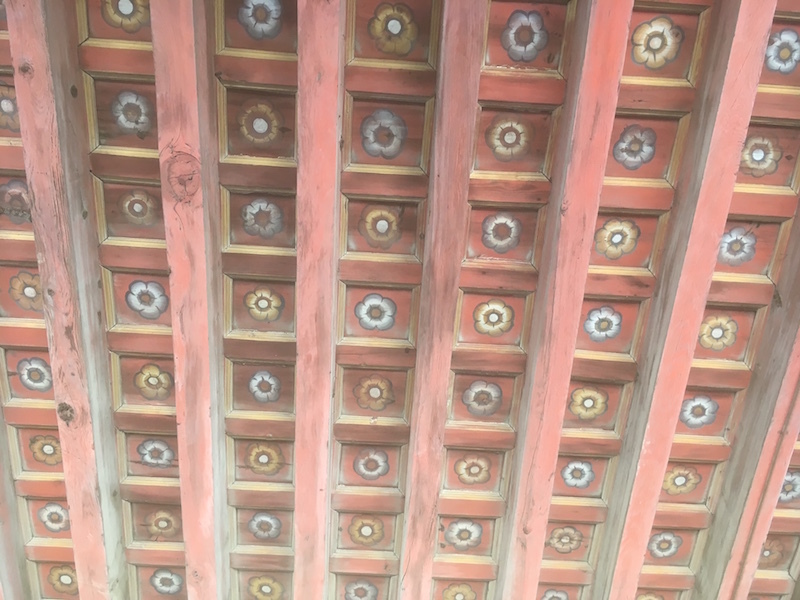 Thanks Ian – we hope to return to get more photos and, who knows, perhaps be allowed in to some of the hidden rooms.